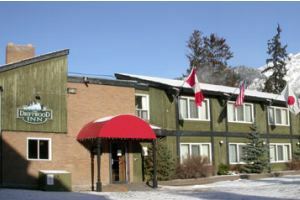 There is a great range of accommodation in Banff. We have rated them by stars and cost. We have also included a unit capacity summary so that you can identify if a property is suitable for you at a glance. We have selected a range of the best properties from economy right through to luxurious high end properties. To find the accommodation you are looking for, just scroll down this page or click on the links opposite. If you can not find the property you are looking for, please contact us direct. 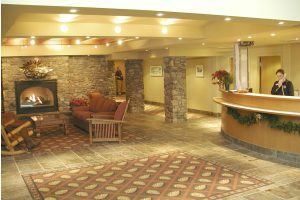 Our best value hotel in Banff! 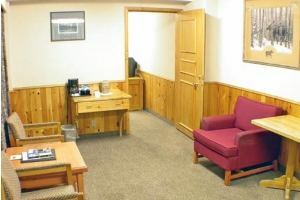 The Banff Aspen Lodge combines affordable accommodation with warm, friendly hospitality and excellent facilities. 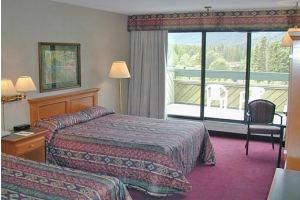 All of the guest rooms at this Banff lodge are spacious and tastefully decorated. Singles, couples and families can choose the room type that suits their needs; most rooms feature private balconies and mountain views. From its convenient downtown location on Banff Avenue, The Banff Aspen Lodge is just a three-minute stroll to the fine shopping, dining, museums and galleries that make Banff an unforgettable destination in the Canadian Rockies. There are a variety of room configurations for you to choose from. 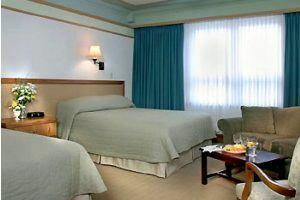 Each room includes satellite TV, clock radio, iron and ironing board, kettle, hair dryer and a coffee maker. All rooms are non-smoking. 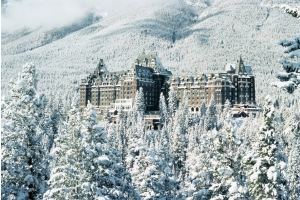 The Fairmont Banff Springs has been a symbol of Rocky Mountain magnificence for more than a century. 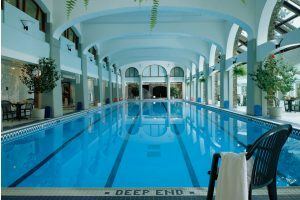 Styled after a Scottish baronial castle, The Fairmont Banff Springs is set within picture perfect surroundings. From wine tasting to afternoon tea, and with the hugh selection of dining options, there is plenty to keep you entertained. 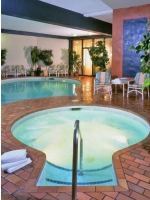 The health facilities allow you to work out, or relax with style. 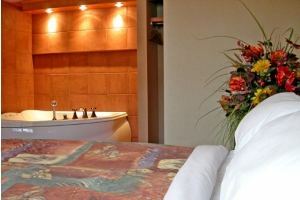 With grand decor accompanied with magnificent views you won't want to leave this hotel! 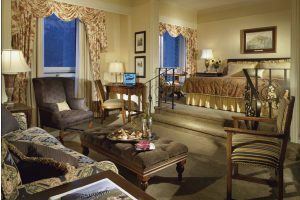 Experience timeless beauty and luxurious comfort in a pristine wilderness - staying at The Fairmont Banff Springs Hotel will leave you with an unforgettable experience. Please click on "more information" below to find out for yourself how this can all become a reality. 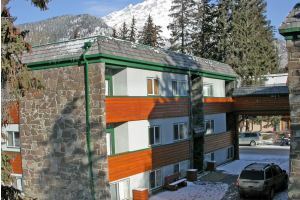 The Banff Caribou Lodge is an impressive full service mountain-style lodge set on Banff Avenue, within minutes walk of the bars, shops and restaurants in downtown Banff. There are 195 spacious guestrooms including 8 signature loft suites, some with views of the Rockies. There is heated underground parking. 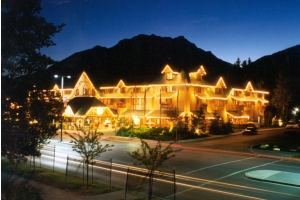 The three story Banff Ptarmigan Inn was built in a classic post-and-beam style. The natural wood accents add a warm glow to the hotels interior design. 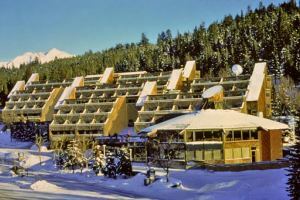 The Banff Ptarmigan Inn boasts 134 hotel rooms. 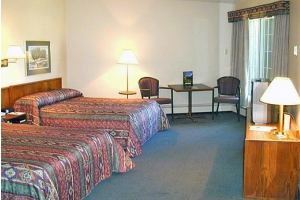 The hotel is located on Banff Avenue, steps away from downtown shopping and nightlife. There is also a heated underground parkade. 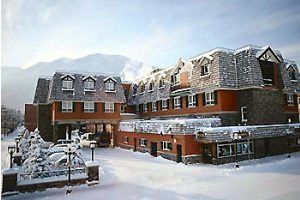 The Mount Royal Hotel features 135 tastefully appointed rooms, as well as suites for extra luxury and privacy, or deluxe suites boasting jetted bathtubs, fireplaces, and large screen televisions. 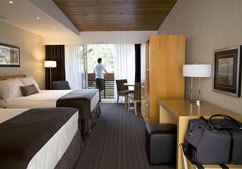 These newly renovated guest rooms offer contemporary comfort close to downtown Banff. Most importantly, you will enjoy unbelievable mountain views out your window. 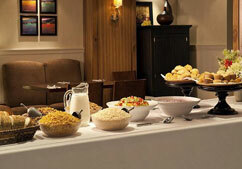 The Inns of Banff offers warm hospitality and a high quality of service. 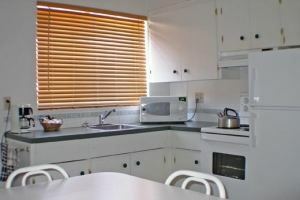 Large room accommodate up to nine people giving you great value for money. 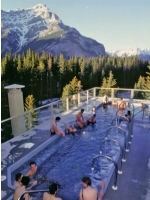 Hotel facilities include a large outdoor hot tub, indoor pool, hot tub, sauna, two restaurants, lobby lounge, plug-in and heated parking and a shuttle to downtown Banff (additional cost). 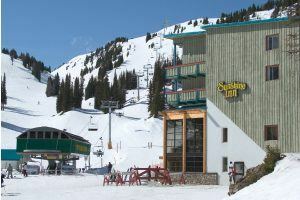 Sunshine Village Inn's unique setting at the top of a 15 minute gondola system. 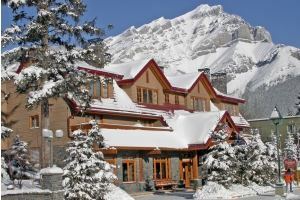 This hotel provides Banff and Lake Louise's only on-mountain accommodation. 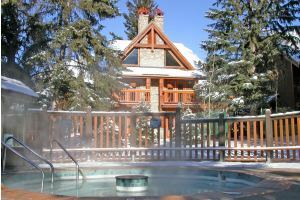 With one of the largest outdoor hot tubs in Canada, a European dry sauna, fitness room and massage and chiropractic services you can truly pamper yourself after a hard day of skiing or riding. With live entertainment, nightly activities for both adults and children and a large family room with a big screen TV, wood burning fireplace and a pool table there is always enough happening at nights to keep you busy. Watch the sunrise at 7200 feet, get fresh tracks in and ski right to your door at the end of the day. Enjoy a true alpine escape amidst the spectacular mountains of Banff National Park. Ski pass for Sunshine Village included. 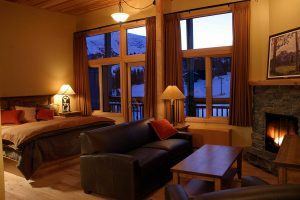 Simple yet comfortable, the Swiss Village Lodge is perfect for the budget conscious skier. 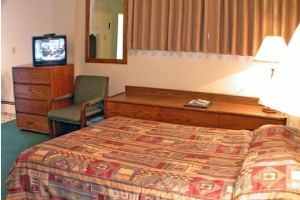 Recently renovated rooms feature two double beds with cable T.V. 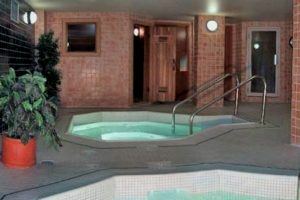 Facilities are available next door at the Inns of Banff and include: large outdoor hot tub, indoor pool, hot tub and sauna, two restaurants and a lobby lounge, ski rental and repair. Plug-in parking is available at no charge, and a shuttle bus to downtown operates for an additional cost. 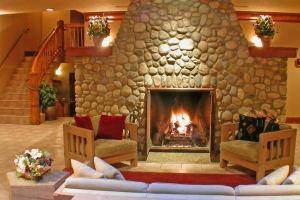 Perfect for the budget conscious traveler looking for an Inn with a cozy mountain feel. All of the Inns rooms are finished with pine furniture and accents. 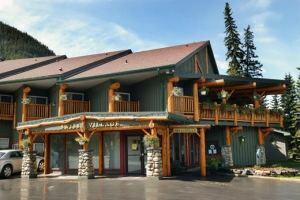 Located next door to the Ptarmigan Inn on a side street off Banff Avenue, guests have complimentary access to all of the Ptarmigan Inn's facilities. The Driftwood Inn's location and amenities make it one of Banff's best values. Tucked away on Tunnel Mountain, Hidden Ridge Resort is quiet and secluded with some of the most spectacular views in Banff and the Canadian Rockies. The modern condos and rustic A-frame chalets at Hidden Ridge Resort feature wood burning fireplaces, full kitchens and patios or balconies. 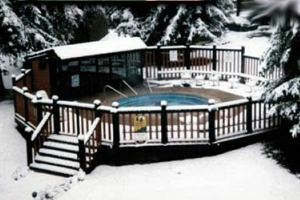 Soak in the giant outdoor hot tub, barbeque in the covered barbeque area or take a stroll along one of the many hiking trails around Tunnel Mountain that start outside your door. The tranquil and secluded setting makes it one of Banff's best-kept secrets. The Rundle Manor, one of Banff's best kept secrets, is an apartment style hotel located in downtown Banff on a quiet side street just off of Banff Avenue. Great shopping and the best Banff has to offer are literally steps away from the hotel. ©2014 Banff-Holidays.com - All rights reserved. Rates subject to change.